Here are a few tips/suggestions to use that may contribute to your success with aviation photography. Some of these tips/suggestions may seem elementary to some photographers, and some of them may not work with your particular style. We are outlining them here because we had/have success with them. Any products mentioned we are not being paid to advertise, some of us use them. We are not saying you have to use them and we are not guaranteeing results…we are simply pointing their availability/capabilities out to you. Autofocus Tracking – When you are photographing moving subjects, you want to make sure your camera is continuously focusing on the subject. In order for this to happen, your DSLR has to be set to continuous focus mode. For Nikon users, this is known as AF-C. For Canon users, the mode is known as AI Servo AF. Back-Button Autofocus – This suggestion is a matter of preference and it takes some to get comfortable with, but it is very effective when tracking moving subjects. Using your back button to focus in conjunction with continuous focus ensure that your camera is constantly focusing and adjusting focus on the subject. This method may require you to change the setting in your camera’s menu to assign the back button to focus. You may also have to limit the functionality of your shutter-release button to exposing and taking the photo. This method of focusing is often utilized by action photographers. It also makes sense. By default, the shutter button on DSLR’s is asked to focus, expose and capture photos. Limiting it to two functions helps divide up the responsibility and reduce the probability for error. When you use slow shutter speeds you are allowing more light in the camera. Close up your aperture (go to a higher number) to allow less light in. On very bright days, you may have to use a polarizing or neutral density filter to prevent too much light from being used. Make sure you are using image stabilization/ vibration reduction. You need all the help you can get. Some lenses have a panning mode for the IS. Some modern lenses auto-detect panning and adjust accordingly. Make sure you have a “pan-worthy” background. Without having a decent background with some contrast, panning is useless. Try panning in a clear blue sky…the motion effect will not exist. Make sure you have your camera set to take as many frames per second (FPS) as it can. If you typically shoot in raw, you may want to consider JPEG for panning because it may give you an extra FPS and be easier on the camera’s internal memory buffer. The more frames you can capture, they better the probability of a sharp shot. This approach also works when photographing prop aircraft where you use slower shutter speeds for the “prop blur” effect. When practicing, learn to hold the camera and lens properly support and pivot by turning your upper body. This gives the photographer the best possible way to pan and keep everything level. If you move your entire body you are introducing increased motion from several angles that can keep the shot from being level. Use a point of reference when panning. Find a logo, emblem or another contrast point to “lock on” to while panning. Air shows can be great places to work on panning skills and getting the right “prop blur” on prop-driven aircraft. Local airports can also be great places to practice as long as you can find place you can photograph from legally. The less number of blades the prop has and/or the lower the RPM of the engine, the slower the shutter speed will have to be to get a “full circle” prop blur effect. A good “rough estimate” formula you can use is: Engine RPM / 60 X (# of blades) = Shutter Speed. Once you find out what type of engine the aircraft has, looking up the RPM’s should be fairly simple. For example, a 3000 RPM engine with a two-blade prop would be: 3000 / 60 * 2 = 100, so you would shoot at 1/100th of a second. These calculations can be done when planning for a shoot. Expose to the aircraft – While modern DSLR’s have wonderful built-in metering systems, photographing aircraft in the sky can create havoc with the camera’s metering systems. For example, on days where the sky is gray, you may find it challenging to properly expose the aircraft. If it’s the aircraft you want a photo of, do not concern yourself with the sky. Use center-weighted or spot metering to expose the aircraft properly. You can adjust your exposure (+ or _ ) to find the sweet spot. Darker aircraft may require some “plus” exposure to properly expose. If you would like some of the detail left in the sky, you could leave the aircraft a little underexposed and restore it to proper exposure in post-processing. The key is to find the exposure that works best for you. Look for interesting angles – This approach can be limited with aircraft in the sky, but with static aircraft, you can find very creative angles. Try laying on the ground for a ground perspective, or photograph an interesting part of the aircraft. Try different angles and have fun…photography is an art! With today’s large capacity memory cards there should be no concern about the number of photos you take. If you do not like the angle, delete the photo later. Try to always have the light to your back, illuminating the scene for you. The early morning and late afternoon angles of the sun work best, but always know where the sun is. Look for the best locations to photograph from based on the sun’s position. You can use phone apps like the Rick Sammon/GO Mobile Photo Sundial (iPhone) to keep track of the sun’s angle, get the sunrise/sunset times, find out the sun’s angle at future times, and more. Be mindful of shadows. Shadows create contrast and if you expose the dark areas properly, you may overexpose the lighter areas. Get to know your DSLR’s metering system to know what works best in these conditions. Matrix-type metering or wide area metering may do a better job finding the sweet spot for exposure. Optimize your shooting angle to reduce glare. Glare can also confuse your DSLR’s metering system and also make a nasty reflection “orb” in your photos. Look for opportunities to work on night photography. Using artificial or minimal natural lighting can help create some very artistic aviation photos. Equipment – Lenses are the best investment. The quality of the lens goes a long way towards taking quality photographs and they are, for the most part, futureproof. The good news is that you do not need a plethora of lenses to be a good aviation photographer. First, a good 100mm-400mm or 80mm-400mm zoom will work well for most of your needs. If the budget is tight, a 70mm-300mm will work well on a crop-sensor body. Next, a good “walkaround” lens for static shots is needed. Depending how wide you like to shoot, this range could be anywhere in the 25mm to 100mm range for a zoom. If you live in an area where it is overcast a lot, consider a fixed, wide-aperture “prime” lens. Prime lenses can be costly, and the fixed focal length can cause you to lose flexibility, but in poor lighting they can make the shot. Obviously, for aviation photography, DSLR’s with the ability to interchange lenses is recommended. When selecting a body, think about what your needs are…manual capabilities, ISO, video, crop or full-frame, FPS, etc… Crop sensors work fine for aviation photography and help give you the extra reach you need to help that 300 shoot like a 450. Other useful equipment you can consider includes: a scanner radio (capable of military and civilian bands), a ladder (stairs), knee pads, spare batteries, a tripod, a rocket blower, a reflective vest and a dual camera harness/strap. Be in control – Stay away from the “auto” settings on your camera and learn to master the relationship between shutter speed, aperture and ISO. Understand when to use a given shutter speed and when you need control of the aperture. If your camera has the capability, shoot auto ISO. Yes, you can control both the shutter speed and aperture for your shots and let the camera select the suitable ISO. You do have to be careful in situations where the light is bright and you want a slow shutter speed, or wide open aperture, so you do not overexpose the shot. Build a post-processing workflow – Do not rely on “out of the camera” images and learn how to properly post-process your image. Tools such as Adobe Lightroom are great for photographers. Many of us do 90% or more of our processing in Lightroom and the rest in Photoshop. There are many other tools out there to aid in post-processing and some are free. Both Canon and Nikon have free image processing software. The Adobe CC photographer’s package is a great deal currently at $9.99 US per month (mid-2015 price). You get access to Adobe Lightroom and Adobe Photoshop with tutorials and support. There are also many resources online to help you master these tools. Continuous learning – There is so much to learn in photography, even many pros still have a lot to learn. There are plenty of free online resources and videos to help you along. As you meet other photographers, understand that it is “OK” to ask questions. Don’t let your ego get in the way of knowledge. You will be surprised what you can learn from other people…sometimes what NOT to do. Most people are willing to share tips and techniques. Occasionally, you will bump into the guy that paid $2500 for Mad Maxwell’s Advanced DSLR course (or something like this) and he feels, because he paid so much, sharing the super-secret knowledge they gained would be like giving money away. Even though, as a pro, the entire course was probably a tax write-off. The truth is, most of the knowledge they gained in that course can be found out there for free if you dig deep enough and you know what you are looking for. There are many great books out there (yes, they still make books). All you have to do is isolate photography books at Amazon.com and sort by user rating. You will see there are many great books that will help you improve your photography, which, in turn, will improve your aviation photography. Also, joining a local or national aviation photography group can also provide resources in which to learn from. Sometimes you will get access to special members-only aviation photography-related events. One international organization worth looking into is the International Society for Aviation Photography. Some of the top aviation photographers from around the world are members. Go RAW – Once you get a post-processing routine you are comfortable with, consider shooting in RAW format. Much more data is saved with the photo and this allows you more flexibility when processing images. You will have greater control over exposure, color, noise reduction and more when processing RAW images. The RAW format goes by many names…such as: NEF, CR2, CRW. Your photos will not look as good out of the camera. This is because your camera is applying minimal processing to the photo, whereas if you shoot in JPEG format, your camera does it’s own post-processing while it compresses the image. If you have a choice, choose 14-bit RAW. The difference between uncompressed and lossless compressed is that the compressed version is a smaller file size and has a slight delay when opening the file due to the decompression process. Both are “lossless”, so all the data is retained, so it makes sense to go with the smaller file size. Don’t forget the memory – Do not get cheap with memory cards for your camera. You will find deals on EBay, when you purchase the camera (bundles), etc… with off-brand memory cards. Don’t even consider it. There is nothing like spending the whole day on a shoot to come home and find out the Shecky’s TopFlight memory card you purchased is unreadable. Your camera takes the photo, processes it, and then writes the photo to the memory card. This “write” process is highly dependent on the speed of your memory card. Take a look at what the manufacturer of your camera recommends. Not all cards are created equal in terms of quality and speed. Also, to maximize the FPS the manufacturer promises, you need to purchase a card with the minimum speed recommended. In years past, cards were rated by class (1 through 10), now the new tech is UDMA, so you will look at the UDMA rating. So, two things to remember for memory cards…name brand (SanDisk, Lexar, etc…) and speed (UDMA#). 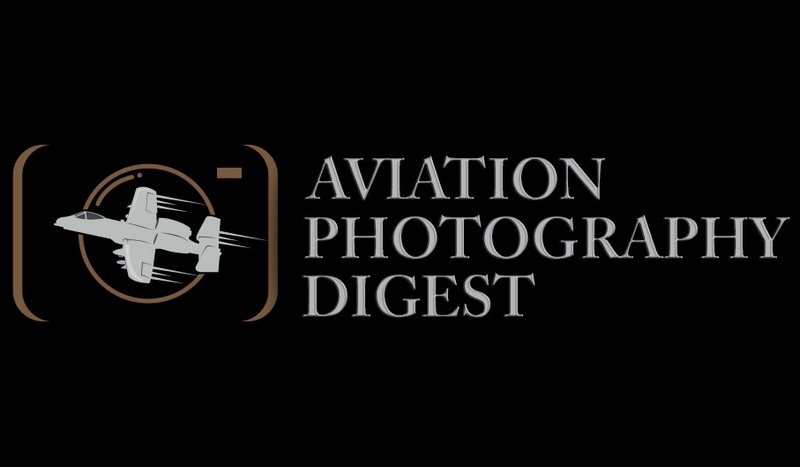 These aviation photography tips & suggestions have been provided to you by Aviation Photography Digest. If you are interested in aviation photography, or just aviation in general, keep up to date with our feature articles on our website. You can do this via RSS, subscribing to our newsletter, or by simply checking the website regularly.